Gray, M., Reddy, P., Chan, S., Davies, K., and Rich, J. (2014 to 2016) $165,044. Centre for Rural and Remote Mental Health. The Social Work Research Program in the Faculty of Education and Arts, the Centre for Rural and Remote Mental Health and the Department of Nursing will collaborate on a new research project to examine the impact of peer support for users of community-based mental health services. It is estimated that 45 per cent of Australians will experience some form of mental health related disorder over their lifetime (Department of Health and Ageing, 2009). Peer support is becoming increasingly common in mental health services as a tool to support the many Australians experiencing mental health issues. Peer support involves an individual with lived, personal experience of mental illness providing support, guidance and mentoring to another individual experiencing mental illness, either in a paid or voluntary capacity. Currently, little is known about the extent to which peer support impacts outcomes for people with experience of mental illness and whether it is more, or less, effective than traditional models of mental health treatment. Further, there has been little examination of the organisational requirements necessary to facilitate an effective peer support program and the type of change required within organisations to successfully employ and support peer support workers. This research project will track the implementation of peer support programs at one urban and one rural site in New South Wales, measuring changes in the outcomes for people with experience of mental illness who participate in a peer support program. These changes will be compared against outcomes for people in 'control' sites, where traditional models of mental health support are provided. The project will also track the changes in attitude and practice of management and practice-level staff at the project sites, to identify the ways in which they facilitate and support peer support program implementation. Within Australia there are marked differences in the ways in which mental health disorders are experienced by people living in urban and rural areas, with rural and remote areas experiencing more limited access to community-based health services, different levels and types of stigma associated with mental illness and higher rates of male suicide. This research project will compare outcomes at rural and urban test sites, to examine whether peer support outcomes differ, and whether there are particular modifications or requirements necessary for implementing peer support programs in urban or rural contexts.The research will culminate in the first evidence-based model of peer support for community-based mental health services, contributing to the improvement and innovation of services to support people with mental illness throughout Australia. Howard, A., and Blakemore, T. (2014) $35,000. Hunter and Central Coast Councils. Project in partnership with the Hunter and Central Coast Regional Environmental Management Strategy (HCCREMS). Dr Amanda Howard and Dr Tamara Blakemore have been awarded $35,000 from Hunter and Central Coast Councils to investigate ways to build community preparedness for natural disasters. 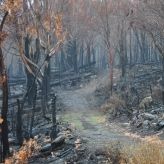 They are leading the Natural Disaster Resilience Project in partnership with the Hunter and Central Coast Regional Environmental Management Strategy (HCCREMS). Through their project Amanda and Tamara will identify and implement ways to build the preparedness of communities considered most 'at risk' from natural disasters. Their research will be used to inform the communication and planning strategies of emergency management authorities, council and frontline community service organisations involved in emergency preparedness planning. Gray, M., and Schubert, L. (2014) $20,719.86. The Social Work Research Program has been invited to evaluate the group work program for eight to 12-year-old children provided by Creative Times. Creative Times is an innovative service of the Samaritans Foundation that works with children and their families who are experiencing challenging times. They are an early intervention and prevention service who provide individual, family and community based programs. Their after-school goal focused activity groups for eight to 12 year olds, held at Gateshead and Mayfield NSW, have to date - despite running for many years - never been formally evaluated. This project will initially seek to mine data currently held by Creative Times related to the children's program, including pre and post assessment data. This is collected routinely as part of service delivery prior to the development of additional research strategies, which may incorporate the development of further evaluation tools, structured observations of the group programs and data collection from the participants of the group and/or their families. Practitioner perspectives on collaborative research and its use in the human services. There is currently no consistent model or measure of research use in the human services. Research use does not occur in a formulaic way, and more flexible adaptive, context-specific, useful approaches need to be found to uncover the ways in which practitioners access and use research within their practice environments. There is an assumption that many of these environments are technologically driven, however we know little about the organisational factors that support the use of research in practice with only one study having examined the organisational determinants of research use. In an attempt to broaden the knowledge base in this area, this project aims to examine research use from the perspective of human service practitioners in order to test current approaches and generate new ideas about the realities of research use in practice. By investigating the different ways practitioners use research, we hope to shed light on the ways in which research might be made more accessible to those located in practice. We seek to locate a clearly defined group of practitioners who have been actively engaged in a collaborative research process. An examination of federally funded collaborative research projects undertaken within the human services over the ten-year period between 2002 and 2012 provides such a group. The purpose for choosing this group is to determine whether and how collaborative or partnership-based research has enhanced research use in the human services. the diverse ways in which practitioners use research in practice. This project will extend prior research on knowledge production and researchers' perspectives on research use (ARCDP0985175) (Gray, Schubert, & Heinsch, 2012; Gray & Schubert, 2012, 2013; Heinsch, 2013) and barriers and facilitators to the implementation of evidence-based practice in which the organisational culture was found to be a major factor shaping research use in the human services (ARCDP0985174) (Gray et al., 2012, 2013). This project will empirically test whether the findings of this earlier research are valid from the perspective of the practitioner. To ultimately re-home families who are homeless and living in their cars, by providing a designated place where they can receive appropriate services and support. According to local homelessness, welfare and emergency relief services, significant numbers of people – including families with young children – are living in cars. Anecdotally this number is increasing, largely due to the unavailability of affordable housing which means that when a tenancy ends, some people (particularly single parent families, people on low incomes or income support payments) are unable to secure a new home and are forced to live in their cars. Because it is both illegal and dangerous to sleep in a vehicle in public places, car-sleepers must be hidden and mobile. Not only can that isolate them from services, it also means that identifying the number of people living in cars is very difficult. According to 2011 Census data in the Hunter region of NSW, 152 people were counted as staying in 'improvised dwellings, tents or sleeping out' out of a total of approximately 2,800 homeless. There is no specific count for people sleeping in cars, and nor are there any service models (of which we are aware) in Australia that work particularly with car-sleepers and their circumstances, though models exist in the USA and Canada. Establish a servicing hub for families who are living in their cars, with on-site professional intake, assessment, referral and case management support. Partner with appropriate human and community services to address the needs of the families including domestic violence support, mental health services, child and family services, legal and financial services, etc. Work with social and private housing providers on pathways to move families quickly into homes. Provide suitable amenities and a sense of community and safety for car-sleeping families while staying in 'Our Backyard'. Develop a replicable service model based on rigorous research and evaluation strategies in partnership with the University of Newcastle, service users, and a reference panel of people with lived experience with homelessness. The project will commence with a three-month trial, from February 2014, in one location in Lake Macquarie, NSW. The trial will accept families and single women who are homeless and sleeping in their car. Professional workers will undertake initial intake and assessment, including individual risk assessment, on-site during evening hours, and return in the morning for more comprehensive assessment and planning, including connections with appropriate services and case-management on-site. Overnight, car sleepers will be provided with a designated place to park, with access to amenities. Case managers will work with social and private housing providers and transitional accommodation providers, to house families. Continuation of the project past the three-month trial period will be subject to evaluation by the University of Newcastle, and availability of Specialist Homelessness Services funding. ADHC Evaluation of PASSPORT group program for people with disabilities. Blakemore, T., & Howard, A. (2014). $2000. This project was developed by students in partnership with Port Stephens Community Options as part of the social work course (SWRK3002) in 2013. Program has been taken up by Community Options and will be piloted in 2014. Evaluation of parent support program for parents who have children in care. Blakemore, T., and Howard, A. (2014). 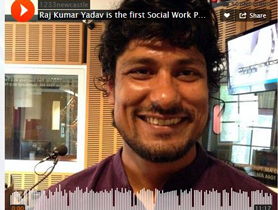 This project is currently an in-kind partnership with Relationships Australia. Document and evaluate planning and process change as early intervention organisations transition to the NDIS. Howard, A., Blakemore, T., and Johnston, L. (2014-2015) $10,000. Application submitted through Firstchance Inc, Hunter Prelude and Earlylinks Maitland. Faculty of Education and Arts Research Program (2011 to 2012). Economic Insecurity, Public Governance & Neoliberal Paternalism examined the relationships between economic transformations in work, finance and consumption, the reform of welfare governance and challenges of human service delivery. Termed 'neoliberal paternalism', these new regimes of welfare are aimed at 'poverty management' in a paradoxical way. On the one hand, they seek to enlist the freedom of citizens as customers, users and deliverers of services. On the other, they seek to compel welfare recipients towards economic participation while placing human service providers and managers under stringent contracting conditions and performance measures. This study analysed the economy-state relationship by linking neo-liberalisation to distinctive national forms of welfare state and to investigate the impact of this on human service workers. Australian Research Council (ARC) Discovery Project. $140,000 awarded to Prof Mel Gray; Prof Stephen A Webb and Dr Nadine Kavanagh (2009 to 2011). Professor Mel Gray and Professor Stephen Webb were successful in being awarded two ARC Discovery Projects as Selection Report for Funding Commencing in 2009. Professors Gray and Webb were particularly delighted with the two out of two at first strike for the Institute successfully obtaining these research awards. Significant national benefits will accrue through this study of the human services knowledge economy. The creation of human services employing knowledge-based interventions will address the real needs of Australians in the current socio-political environment. In investigating how current systems of knowledge production contribute to the creation of relevant and effective human services, the research will identify the restraints to innovation in human services and the structures in which knowledge production is articulated. In modelling an 'ideal-type' of knowledge transfer conducive to the development of socially accountable research, it will inform changes needed for effective human service delivery. Australian Research Council (ARC) Discovery Project. 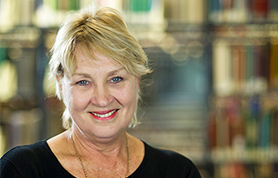 $240,000 awarded to Prof Mel Gray; Prof Stephen A Webb and Dr Debbie Plath (2009 to 2011). The total amount awarded over a three year period from the ARC for the two projects was $380,000. Implementing research evidence in human services is vitally important in providing more effective and accountable provision. It promotes an innovation culture by maximizing technological capability by understanding factors conducive to change. 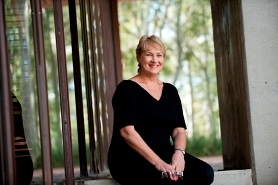 Nationally, it is significant in three key respects: it is the first Australian research project to examine the implementation of research evidence in the human services; it is the first project to conduct a systematic review in this field; it develops a national policy framework for guiding implementation and identify attainment outcomes in human services. Swimming with Seahorses: An integrated approach to supporting the learning and well-being of students from low SES backgrounds. HEPP-funded (2012). Howard is team Leader on a sub project – Student for Student (S4S) Team. The S4S Project is a collaborative (academics and students are co-researchers) action research project involving the exploration of first year experiences among low SES students. ABCD Cluster Project (2012–2013). This action research project seeks to track an emerging ABCD practice framework in CAT's work with remote Aboriginal and Torres Strait Islander communities. Howard with interdisciplinary team, including geography, development studies, and Family Action Centre with funding secured by the Centre for Appropriate Technology-CAT. $80,000. Getting By and Getting Ahead – Family Support Services Research Project. 2012.Stage 2 focused on clients of services (Howard). Getting By and Getting Ahead in Killarney Vale, Bateau Bay and Tumbi Umbi (KBT) – Community Housing Management and Social Capital Study (2012–2013). Stage 2 focused on community members (Howard). Community Awareness of Domestic Violence (2012) Howard in partnership with Family Action Centre and Carries Place. Attitudes towards non-heterosexualities in social work students (2011). UN TLPG $10,000. This project explores students' and recent graduates' attitudes toward non-heterosexualities as part of further curriculum development (Gray, Agllias, Howard , and Johnson). Adult children and family estrangement (2011). UN ECRG $10,000. Follow-up from PhD study investigating family estrangement among older adults (Agllias). Social Work awarded a ‘well above world standard’ ranking in the last Excellence in Research for Australia (ERA) exercise.